So a very old thread mentioned that the Lackawanna replaced the old bridge around 1958. The foundations of the old bridge are still there, but they point Northwest to the middle of nowhere. It curved back to the original trackage. I wonder if before the swing bridge if there was another bridge to the south where the current bridge is? The prior two-track swing span was built in 1901. Upper Hack (lift span) was completed in March 1959. This DL&W press photo (also appearing on the 1958 Annual Report) was shot from the old swing span, facing southeast. I think the Lackawanna's Boonton Branch, which the ROW under discussion was part of, dates to about 1870. So before the 1901 swing bridge on the abandoned "curved" ROW, it is indeed likely as noted that there was a prior bridge across the Hackensack River on the current "straight" ROW. Was the 1901 swing span that was replaced in 1959 not leave enough clearance in the channel or something? 58 years is not all that old for a drawbridge....... why was it replaced? In a semi-related question. Is the current one track a span considered a significant bottleneck or is there simply not enough frequency to call this a problem? Also, would a future upper NYSW service cause this bridge to hit a breaking point during rush hours? Just could be a financial issue/excuse that NJT could use if they want to put the kabahsh on the idea of Sparta service. Jtgshu wrote: Was the 1901 swing span that was replaced in 1959 not leave enough clearance in the channel or something? 58 years is not all that old for a drawbridge....... why was it replaced? Prior to 1958, freight was probably brought up river in fairly small schooners or steam powered lighters and then later with small tugboats and barges. With the introduction of internal combustion, the tug boats can handle larger barges for moving their cargo. Like the Panama Canal that is undergoing widening, the Hackensack river channel is/was dredged to allow larger tug boats pushing wider and longer barges. They probably had too many hits against the 1901 swingspan which threatened its structural integrity. I bet if the specs can be dug up, we will find that the open span is larger and the portal foundations are sturdier/more massive than the 1901 structure. The bridge was on the Lackawanna Boonton line, which saw rush hour commuter service and not much more. 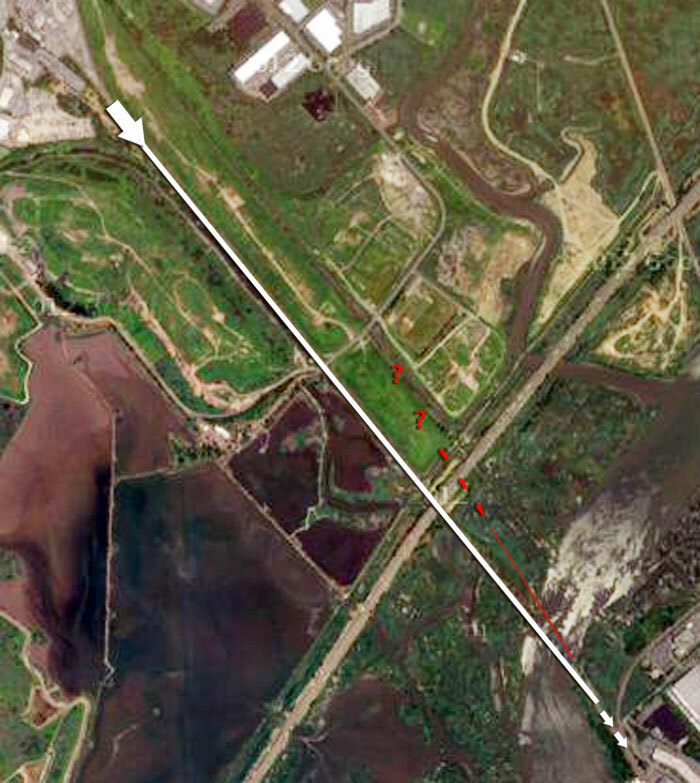 Freight traffic at other hours likely was not sufficiently frequent to call this a bottleneck. There likely is more traffic now than during the day of the Lackawanna, considering NJT passenger train frequency. Freight operations, what few there are, operate outside of rush hours and likely can easily be fit in between passenger trains. The DLW was quite broke in1958, with traffic going steadily downhill. The EL merger was only 2 years away, and probably already in discussions. 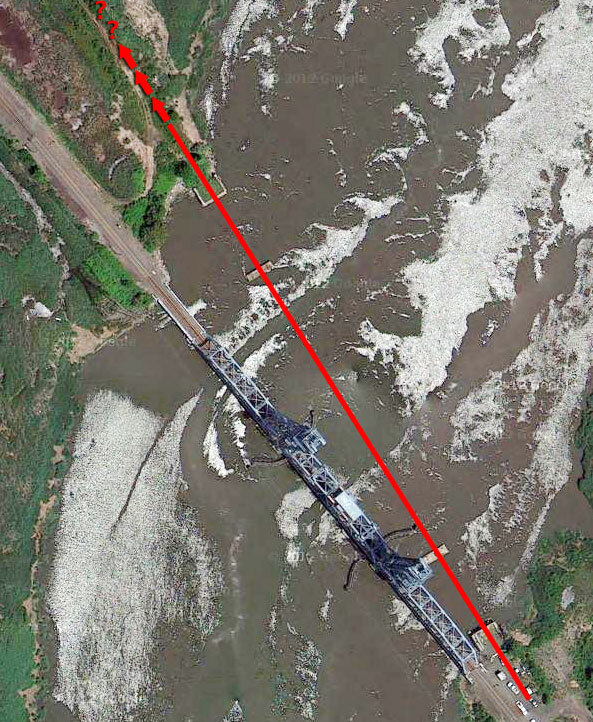 I've read (in Taber) that there was some problem like the earth under one of the footings had shifted, which is why they had to build a new bridge. So they built the cheapest thing they could, I suppose.